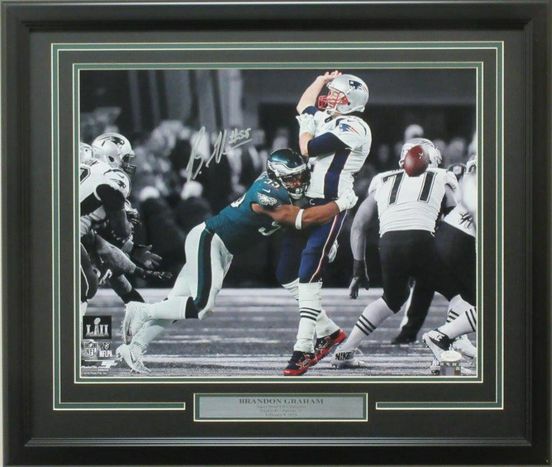 This 16x20 is personally autographed by Philadelphia Eagles SB LII Champion Brandon Graham. The strip sack of Tom Brady late in the 4th quarter led to a field goal and a 41-33 Super Bowl LII victory. This moment will live forever in Philadelphia Eagles history. Own it today. This photo is professionally matted and framed and comes with a JSA certificate of authenticity.